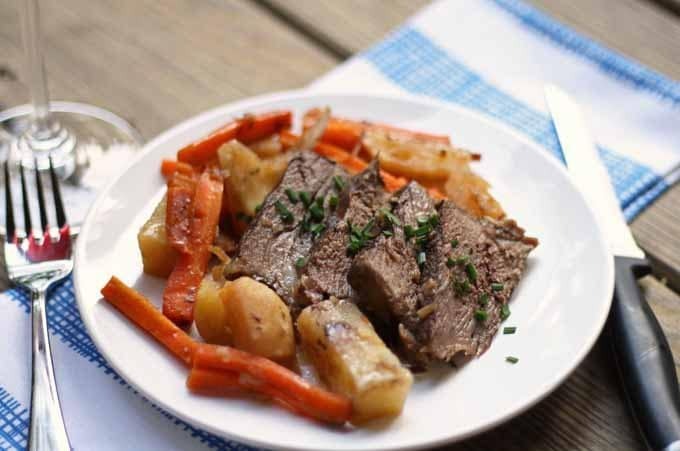 This easy slow cooker pot roast recipe is sure to make it on your Sunday supper rotation. Do you have a small family? 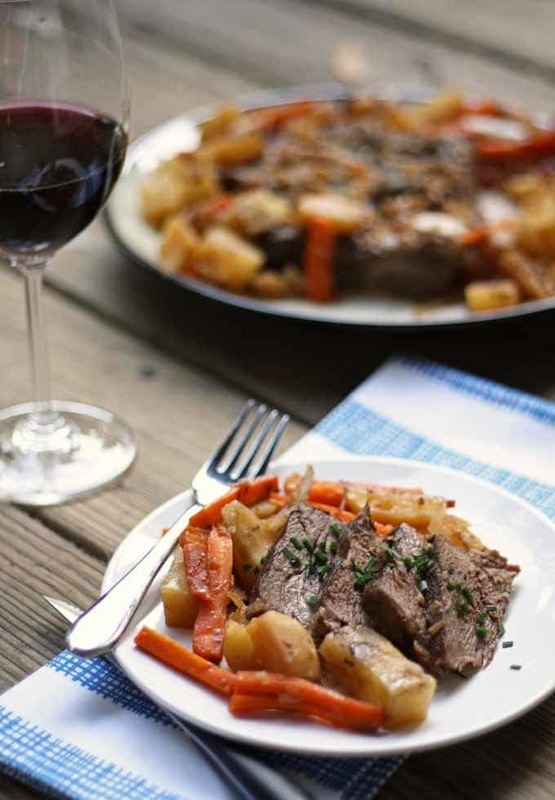 Then bust out that slow cooker and make this pot roast! We are slow cooker people. 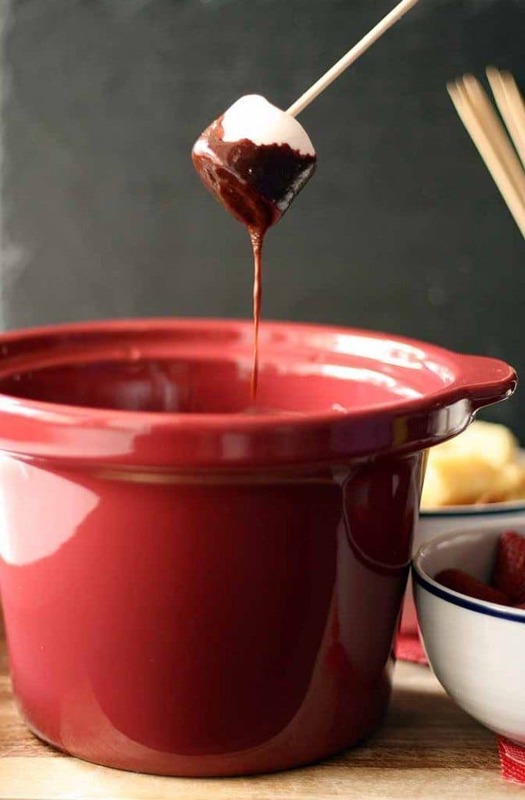 We have two of the big ones (good for soups, pot roasts, meals in general), and one of the smaller ones (good for dips and fondue). I am a bad slow cooker person because I don’t know the exact number size of said slow cookers… but I’m okay with that. We pull these guys out in the fall and winter when we are too busy to cook – the holiday season can get crazy hectic. And we use them often in the spring and summer. You can make a big meal without having to turn the oven on – it helps me keep the kitchen a little cooler during the hot months. 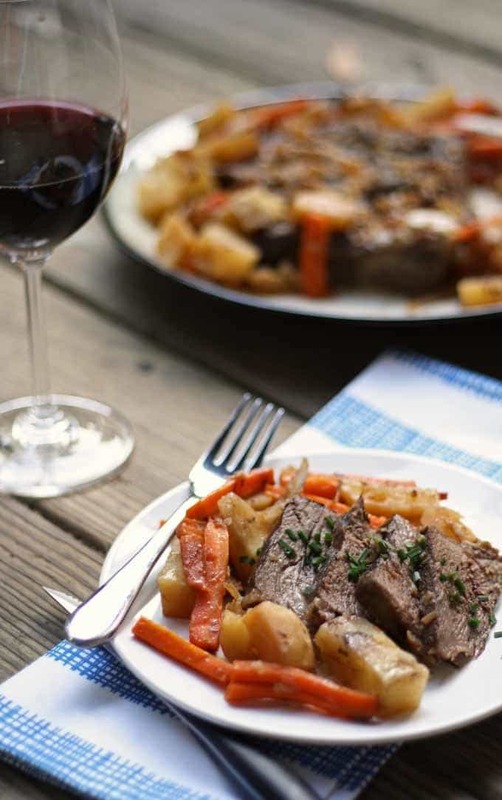 This slow cooker pot roast recipe is great for a few reasons. One, it cooks quicker because its smaller. Two, its smaller so its great for our 2-person family. 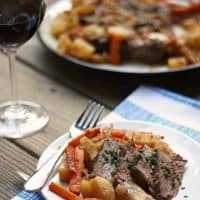 Usually I cook a pot roast in the slow cooker and it weighs 5 pounds and takes 6-8 hours to cook. Not this baby. 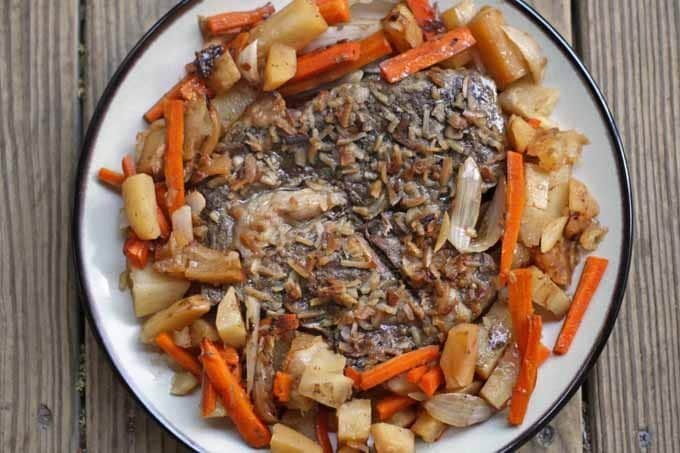 Put it in the slow cooker before you do some chores or go grocery shopping. You could even watch a movie and take a late afternoon siesta if so inclined. Pour the water in the slow cooker, followed by the onion, carrots and potatoes. Rub the salt and pepper over the roast, then put on top of the vegetables. Sprinkle the Worcestershire sauce, garlic powder and onion soup mix evenly over the contents of the slow cooker. Cook on low for 4 hours or until the meat is to the correct temperature using a meat thermometer - (145°F for medium rare; 160°F for medium). Turn off the slow cooker when 5 degrees away from desired temperature - roast will continue cooking after turning off slow cooker. I love pot roast!! Thank you for sharing your recipe. 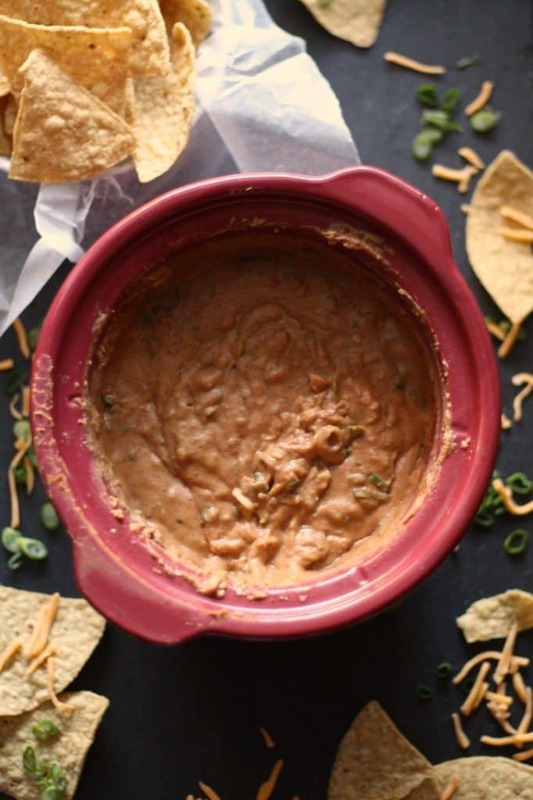 That bean dip looks amazing. 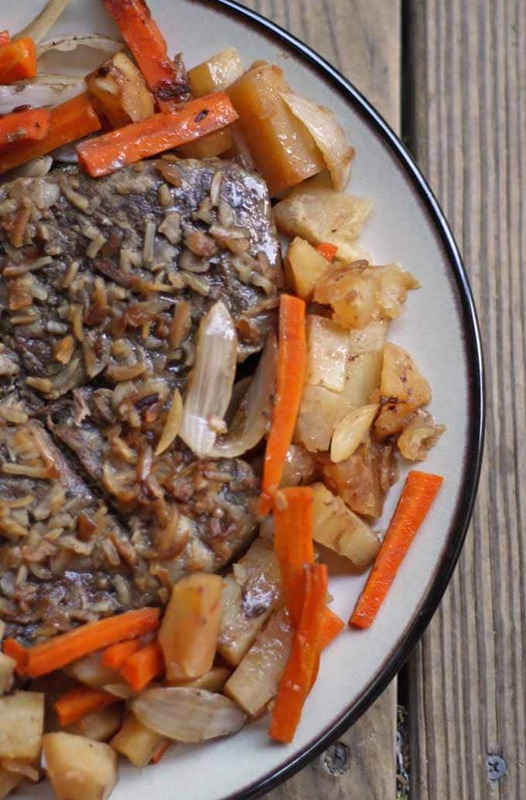 Thank you for sharing these great recipes with us all. I really need to pull out our slow cooker more often. We used to have a big one, but with just two of us, it was always overkill. So I got a mini, which we love, but I forget about! Brilliant use of onion soup mix in this! I couldn’t resist – the light wasn’t good inside that day, but great outside!